Thistledown House is a beautiful country bed and breakfast near York. It has a family-friendly atmosphere perfect for animal lovers.Our country style accommodation features en-suite rooms. 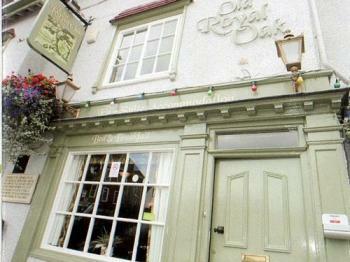 The Royal Oak is a traditional English Inn offering bed and breakfast accommodation in 3 quality en-suite guest rooms. Quality homemade meals are available on Sundays. Welcome to Murray House  quality accommodation in Harrogate. We offer modern, stylish and contemporary Bed and Breakfast accommodation. Expect high standards of comfort, a friendly service and a hearty breakfast! Arden House Guest House offers the ideal location; with the advantage of being situated in a quiet tree-lined road just a short stroll from the Harrogate International Conference Centre and Spa Town Centre.